The last of NASA’s current-generation tracking and data relay satellites designed to link mission control with the International Space Station has been assigned for launch on a United Launch Alliance Atlas 5 rocket in October 2017, officials announced Friday. An Atlas 5 rocket will haul the Tracking and Data Relay Satellite, named TDRS M, into an elliptical geostationary transfer orbit after liftoff from Cape Canaveral. 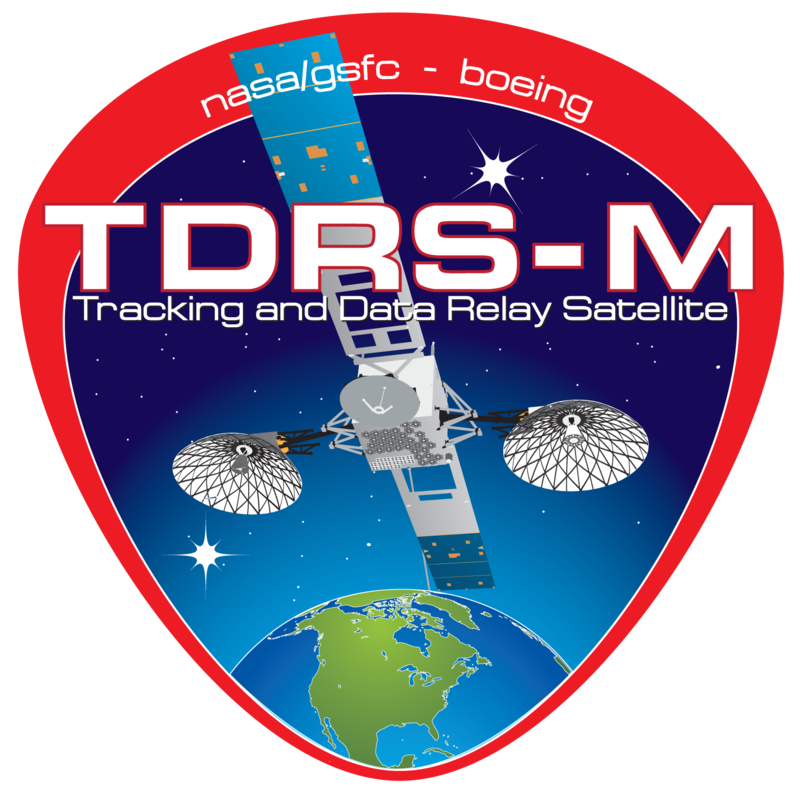 TDRS M is the last of three identical satellites built by Boeing Co., following launches of TDRS K and TDRS L in 2013 and 2014. NASA is paying $132.4 million to launch TDRS M, the agency said in a press release. 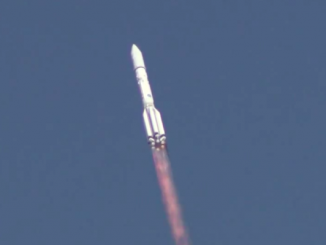 The figure includes the cost of the Atlas 5 rocket, spacecraft processing, payload integration, tracking, data and telemetry, and other launch support requirements. Like the Atlas 5’s earlier launches of TDRS satellites, TDRS M will fly aboard the “401” version of ULA’s workhorse launcher, with a four-meter diameter payload fairing, no solid rocket boosters and a single-engine Centaur upper stage. The Atlas 5’s TDRS M contract win is the first launch order placed by NASA’s Launch Services Program, which arranges rocket flights for the agency’s robotic space missions, since NASA certified ULA rival SpaceX to launch standalone science payloads. SpaceX’s cargo delivery flights to the space station are managed by a separate NASA office. 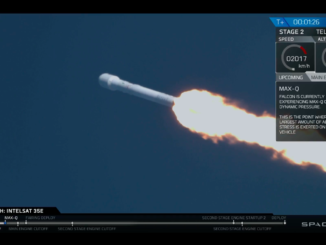 The availability of the Falcon 9 rocket in the U.S. launch market gives NASA two options to launch satellites of TDRS M’s size and mass, setting up head-to-head match-ups for NASA launch contracts. 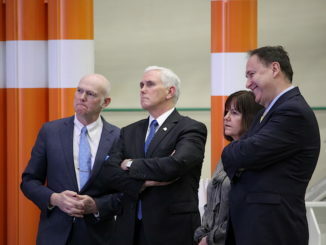 ULA says its costs are coming down as the company recognizes competition from SpaceX and reaps the benefits of a block buy of launches from the U.S. Air Force in 2013, an $11 billion sole-source deal that ULA executives say reduces its rocket prices to the military, NASA and commercial customers. Part of the savings may be recognized in the $132 million value of the TDRS M launch contract. 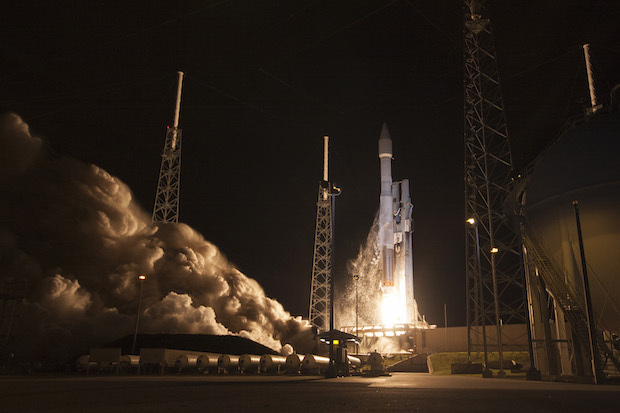 In 2010, NASA paid $187 million to launch its MAVEN Mars orbiter on the same basic Atlas 5 configuration. The TDRS M satellite, expected to weigh about 3.8 tons (3.4 metric tons) with a full load of propellant, is the 13th spacecraft to launch for NASA’s data relay network. Stationed in geostationary orbit 22,300 miles above Earth, the communications craft will relay voice communications and telemetry data between Earth and the space station. Imagery from the Hubble Space Telescope also makes it to the ground through the TDRS system, along with data collected by a fleet of Earth observing satellites. The spacecraft, scattered around the world, provide nearly global coverage for research satellites in low Earth orbit. NASA started the TDRS program in 1973, and its first satellite launched on a space shuttle mission in 1983. All 12 satellites to date have launched on space shuttles, Atlas 2A and Atlas 5 rockets, including a spacecraft lost in the Challenger accident in 1986.